The technical challenges associated with subsea systems continue to increase as developments involve deeper water, longer step outs, higher temperatures and pressures and greater focus on cost control. As subsea systems become increasingly challenging and difficult to access for inspection and repair, the demand for proven reliable equipment becomes greater. Having been involved in the development and implementation of reliability best practices for the subsea industry for around 20 years, Astrimar’s consultants have a wealth of experience in effective reliability engineering, technology qualification and assurance to meet the industry’s changing needs. Our approach focuses on the best use of available data and information, along with adaptation of traditional techniques to understand and prevent or pre-empt equipment failure to minimise unwanted safety and production consequences resulting from unplanned failures. Significant value benefits are gained by understanding potential system / equipment reliability and availability at all life cycle stages. We provide support from early design (conceptual design and FEED) to end of life (late life integrity, life extension and decommissioning), to develop an understanding of reliability capacity as an essential input to engineering decision making, including setting functional requirements and optioneering, developing design improvements, qualification testing, system monitoring, spares holding, inspection, maintenance and decommissioning. 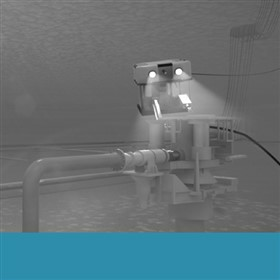 In support of Integrity Management, we have also developed innovative techniques to analyse condition data such as ROV inspection results, and valve signature results, in the context of the most critical equipment failure modes to better understand current and future condition and provide a scientific basis to the optimisation of inspection and maintenance plans. While we emphasise the value in preventing or pre-empting failure, we also use reliability engineering techniques to prioritise spares holding (including risked cost-benefit of common sparing across assets) and to support ongoing asset management decisions including management of obsolescence. This enables faster recovery in the event of failure occurring. We have experience of applying these services to full subsea production systems and individual elements of the system including Wellheads, Xmas Trees, Manifolds, Umbilicals, Controls, Pipelines, Flowines, Jumpers, Connections, Flying leads and Risers.